What is a Louisiana Non-Compete Agreement? Louisiana Non-Compete Agreement: What Is It? 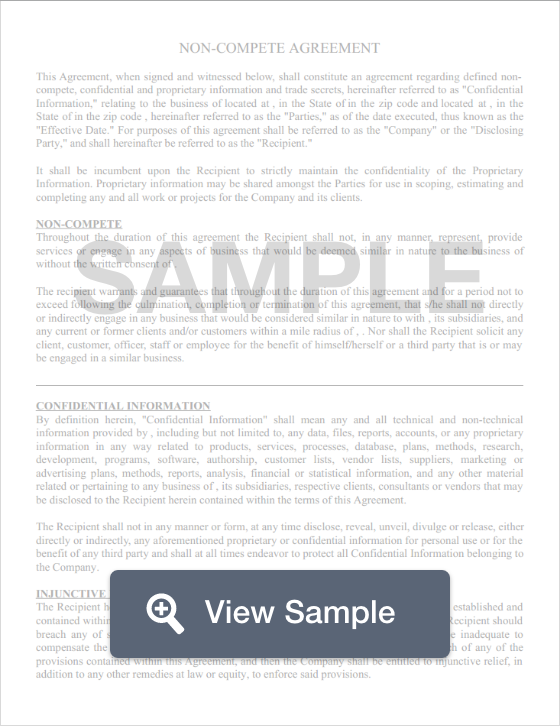 A non-compete in Louisiana is a legal document that accepts an employee's written promise that they will not disclose trade secrets and will not engage in competitive behavior for a specified period of time and within a certain geographic location. This written promise comes with limitations, as employers cannot require employees to refrain from working for competitors for life. However, if the agreement is breached within the timeframe of the contract, the employer may come after the employee for any damages. Louisiana imposes various restrictions on non-compete agreements. Though they are generally disfavored, the state will uphold them as long as they are reasonable in time, scope, and geographic region. This is specified as a time period of no more than two (2) years, and the geographic location is restricted to only the cities or municipalities where the company conducts business. Car Salesman - any non-compete agreement that prohibits an automobile salesman from selling vehicles is unenforceable. Real Estate Licensees - Professionals with a real estate must be able to back out of a non-compete agreement before midnight of the third day after the agreement has been executed. The agreements can only be valid for a maximum of two (2) years and must be printed in a bold font that is no smaller than size 10. These agreements must also be limited to the area where the employer conducts business.